The average American adult spends a third of every day sitting down. This sedentary way of life affects us in some startling ways – not only causing obesity, but putting us at risk of long-term serious disease as well. 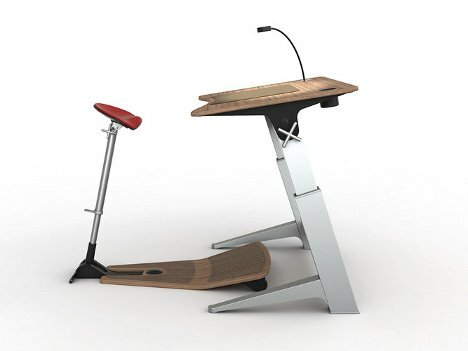 To combat this, the founder of shoe company Keen invented a chair that will shift the way we work. Because the majority of our sedentary time is spent in offices and in front of computers, Keen founder Martin Keen believes that focusing on the office sitting situation could make a huge difference in the country’s overall health. 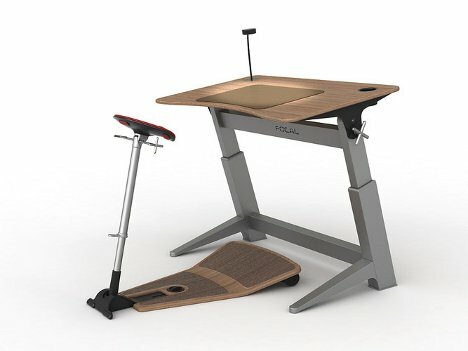 Standing workstations, treadmill workstations, and even stationary bike workstations have become very popular in recent years, but Keen’s invention is a little different. 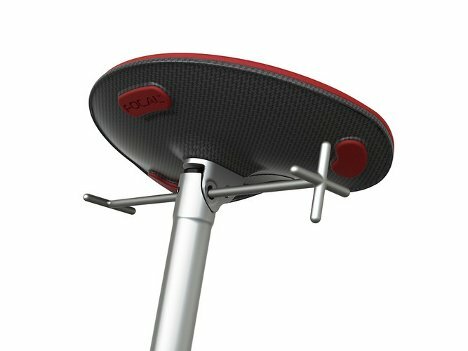 Dubbed Focal, it’s a chair that encourages constant movement and muscle engagement all day long. The chair consists of a wooden footplate and a downward-slanting seat that is not quite a chair. 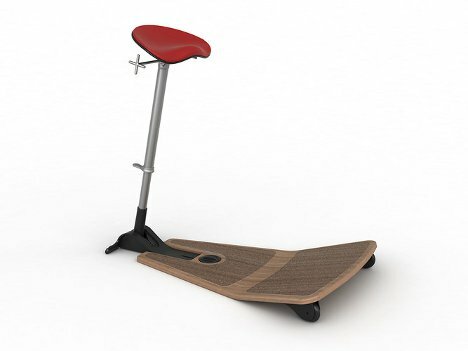 The seat is for leaning, not for sitting, and its orientation encourages constant movement. In the video, it is easy to see why the Focal is healthier for the body than a regular chair. The person using Focal is resting his weight on his legs as well as on his bottom, engaging those large muscles and keeping the blood flowing all day rather than signaling to the body that it is resting and encouraging the brain to become tired and sluggish.